iRobot is a leading developer and retailer of Robot technology, focussing on vacuum and cleaning solutions, as well as military and police technology. The publicly traded company (NASDAQ: IRBT) is headquartered in Bedford, Massachusetts, United States, and sells its robots through its own retail stores, at trade shows, and through many third party retailers. 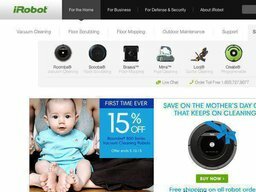 You can also buy consumer cleaning robots from its website at iRobot.com and other localized sites such as iRobot.co.uk. The sites are specially good for purchases because they run offers and deals that you can make savings with. We have all of these listed here at Coupofy in the form of iRobot coupon codes, which you use on the site. The company was founded in 1990 by MIT alumni Rodney Brooks, Colin Angle, Helen Grainer and Geyner Andres Gaona. Their original funding came from government agency DARPA in 1998, and their home consume line didn't go on sale until 2002. Their products were an immediate success however and the company was able to go public in 2005. In 2012 they acquired another robotics company called Evolution Robotics. As of 2012 the company sold over 8 million consumer devices and now makes over $400 million in yearly revenue. Rodney Brooks, Colin Angle and Helen Grainer still hold important positions within the company. iRobot's home cleaning range includes 4 key robots. Roomba for automatic vacuum cleaning, Scooba for floor scrubbing, Brava for floor mopping, and Looj for gutter cleaning. You can also buy accessories dating back to the first models, such as cleaning solutions, replacement brushes and pads, chargers, batteries, storage bags, stands and docking, and other parts. You can also by packs including the robot and a range of accessories. Unless otherwise stated your iRobot coupon code can be redeemed for any of the above products. The iRobot.com store accepts payment from most major credit cards, including American Express, Discover, Mastercard, and Visa. You can also used the delayed payment service Bill Me Later, and Paypal at checkout. 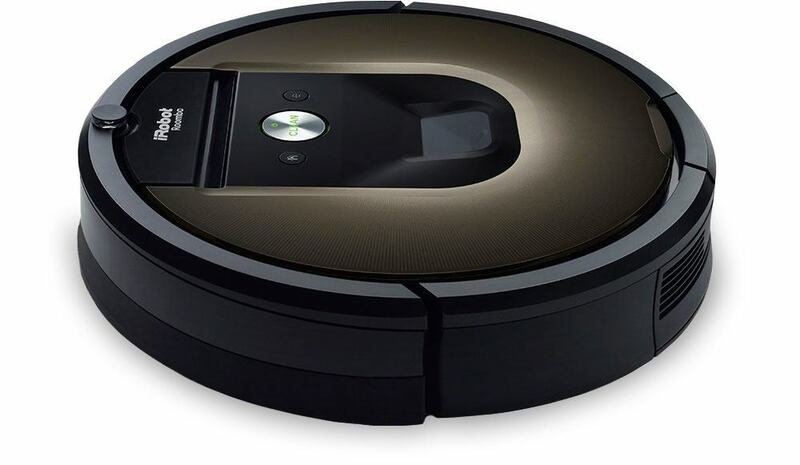 Those who would like to purchase a cleaning robot from this website should be aware of the fact that there are a couple of shipping methods available at this moment in time. UPS Ground takes 3 to 6 days, whereas air services can be used to deliver items on the 2nd day, or overnight. The US postal service will be used for military addresses, but also for APO/FPOs and other places as well. Shipping is often free by using the corresponding offer's iRobot coupon code. In the case that you are not happy with an item that you have received, or it came as broken, then you are free to go ahead and request a refund within 30 days of the original purchase date. To do this, make sure to contact the customer support team in order to get a RMA number. If you have used any iRobot coupon codes to get a discount you will obviously only be refunded the actual amount charged. @AnexRavensong We can help, please DM us with the email address your robot is registered under.